What’s Open and Closed on Presidents’ Day 2017? Monday, Feb. 20 is a federal holiday, however, not many people remember it. Monday is Presidents’ Day. All of the federal workers will have a holiday but most private sector workers do not. 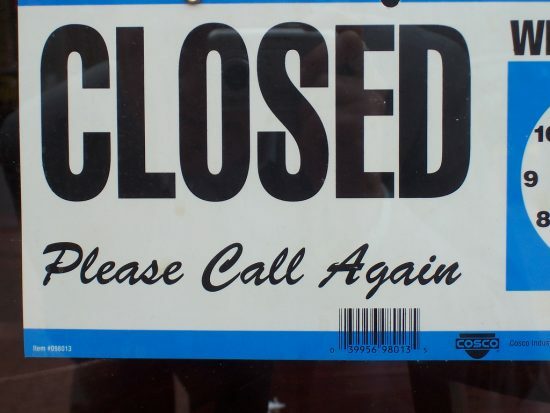 It can be confusing remembering what is open and closed on Presidents’ Day. Below is a list of most types of business and if they will be open or closed on Presidents’ Day. Credit unions and banks are closed. Most credit unions and banks are closed on Presidents’ Day in observance of the federal holiday. There are a few banks that will be open in exception to this rule. Drug stores are open. Major drug stores like CVS and Walgreens are open for regular business hours on Presidents’ Day. Smaller chains and independent stores will also be open but may operate on holiday hours. It is a good idea to call the pharmacy to make sure they are open if you need a prescription filled that day. Federal government offices are closed. Most federal government offices are closed on Presidents’ Day. Essential personnel such as law enforcement will be working and their offices will be open. Gas stations are open. Gas stations should be operating on their regular Monday business hours. Most service stations will also be open on Presidents’ Day, but it is a good idea to call ahead and check their hours before you go. Grocery stores are open. All grocery stores operated by a major chain are open regular hours on Presidents’ Day. Smaller retailers and local ethnic stores should be open, but it is a good idea to call ahead and verify before you go. National parks are open. National parks are open on Presidents’ Day. Post offices are closed. Post offices are closed in observance of the federal holiday. There will be no mail delivery or pick up on Presidents’ Day. Restaurants are open. Most chain restaurants will be open on Monday, Feb. 20. Many of them will have special deals for Presidents’ Day. Independently owned restaurants will most likely be open, but call ahead to confirm since they may change their hours for the holiday. Large retail stores are open. All major retailers, like Macy’s, Target and Walmart, will be open regular business hours on Presidents’ Day. Costco closes for some federal holidays, such as Memorial Day and Labor Day, but will be open on Presidents’ Day. Many major retailers will offer sales the week of February 20 to celebrate Presidents’ Day. There are some great deals available this week, but remember that it’s not a deal if you are buying something you don’t need. Schools may be open or closed. Most public and private schools observe the federal holiday on Presidents’ Day, but it is up to the school district. Check with your school to see if they will be open or closed on Monday. The stock markets are closed. The New York Stock Exchange and NASDAQ observe most federal holidays and will be closed on Presidents’ Day. When Is the Last Day to Sign up for Health Insurance 2015? The Patient Protection and Affordable Care Act (PPACA), known simply as the Affordable Care Act (ACA) or “ObamaCare” was signed into law on Mar. 23, 2010, and represents the “most significant regulatory overhaul” of the U.S. healthcare system since the introduction of Medicare and Medicaid in 1965. 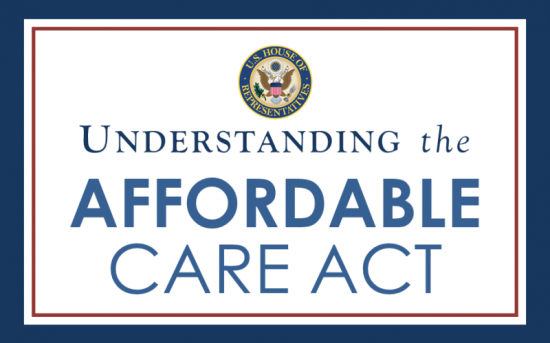 The purpose of the ACA is to increase the quality and affordability of health insurance. By expanding individual insurance coverage, the government hopes to reduce the costs of healthcare for itself and all Americans. On June 28, 2012, after a challenge from Republicans, the United States Supreme Court upheld the constitutionality of the ACA; however, states cannot be forced to participate in the ACA’s Medicaid expansion program. Regardless, as of May 2014, approximately 20 million Americans are covered under the new law and the percentage of uninsured Americans dropped to 13.4% from 18% in May 2013. When is the last day to sign up for health insurance? Currently, if you have not signed up for coverage, the last day to sign up for health insurance is February 15, 2015. If you do enroll by this date, coverage can begin as soon as March 1. However, after this date, the only option for late enrollment or changing the specifics of your plan is if you qualify for a Special Enrollment Period. According to HealthCare.gov, the only individuals who will qualify for this enrollment period are those who have experienced “certain life events that involve a change in family status.” Such life events could be marriage, the birth of a child or the loss of health coverage. If such events occur, you qualify for a special enrollment period of 60 days following the event, whereas job-based plans must provide a special enrollment period of 30 days. What happens if I don’t sign up for health care? If you can afford health insurance, but choose not to purchase coverage, you must pay a fee sometimes called the “individual responsibility payment” or “individual mandate.” According to the following link at Healthcare.gov, lack of coverage means you will pay the higher of two amounts: 2 percent of your yearly household income or $325 per person for the year ($162.50 per child under 18). Detailed explanations for the maximum penalty in each case can be found by following the link highlighted above. If you choose not to purchase coverage, you can also apply for exemptions from payment; however, there are specific requirements in order to qualify. For example, your income must be too low to file a tax return or you may qualify for a “hardship exemption.” More information can be found by following this link. You should note, however, that if you are applying to Medicaid or the Children’s Health Insurance Program (CHIP), these programs provide free or low-cost coverage to Americans with limited incomes and as such, and these programs have no deadlines. Additionally, many states have expanded Medicaid enabling more individuals to qualify, so you should contact Healthcare.gov or call 1-800-318-2596 to speak with a representative if you would like to learn more about your state’s healthcare marketplace or for all other questions. For individuals and their families, representatives are available 24 hours a day, 7 days a week except on Memorial Day, July 4th, and Labor Day. For those who currently have healthcare through the ACA government website or state run exchanges, you should be getting your 2014 tax form soon if you received a subsidy.